The Foundation Data Model, or FDM, will help Georgia Tech better classify financial transactions and lead to enhanced reporting and oversight. What is the Foundation Data Model? The Foundation Data Model (FDM) is the basis for accounting and financial reporting in Workday. The FDM will replace the PeopleSoft Chart of Accounts in the implementation of Workday. It provides the structure to support financial and managerial reporting across Georgia Tech by combining accounts and Worktags. 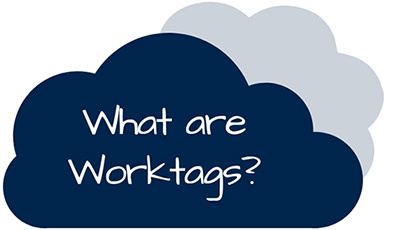 Worktags are attributes/labels used in Workday to indicate the business purpose of a financial transaction. Worktags are assigned to transactions in Workday. They are predefined and cannot be created ad-hoc. Worktags are combined to accurately categorize transactions for reporting and can be separated into two main categories: Driver and Related. A Driver Worktag is selected based on the primary business purpose to which the transaction is related. The user will be able to select from 5 different types of driver worktags: custodial entity, designated, gift, grant, and project. Once the driver is determined, the related worktags of class, cost center, function, fund, and program will be auto-populated and therefore will not be provided by the end user. The use of operational worktags varies based on the transaction. For example, when an expense report for travel reimbursement is created, an expense item is needed. Or when office supplies are purchased, a spend category is used. If further classification of a transaction is needed, optional worktags can be used. The Assignee worktag is an optional worktag that captures the person or position that benefits from a transaction or funding source. This information can be used for portfolio-based reporting as well as workflow management. Over 70,000 project IDs are currently active on PeopleSoft financials. As part of the Workday deployment, each project ID must be mapped to their corresponding FDM dimension. Representatives from each business unit will assist the FDM team with this task by reviewing their project IDs, conducting data cleanup and helping complete the mapping templates.